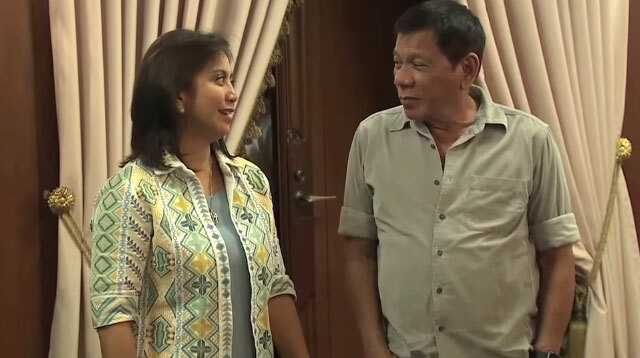 POLL: Was Duterte Being Sexist When He Joked About Robredo's Looks? President Rodrigo Duterte has been quite open about his admiration for Vice President Leni Robredo. During a speaking engagement on Wednesday, August 10, the president told soldiers at Camp Sang-An in Zamboanga del Sur how he couldn't keep his eyes off Robredo, Philstar reported. "I said to myself, 'Don't do it...' But actually I kept on staring at her," he said. He later apologized and said that he didn't mean to offend anybody with his remarks, and revealed Robredo's three attributes that made her attractive. "She is beautiful, she is ladylike. She is kind," adding that he has no regrets appointing Robredo as his Housing czar, despite them being part of different political parties. The working relationship between Duterte and Robredo has been improving recently amid their contrasting beliefs on the rampant killings and the burial for former president Ferdinand Marcos. Do you think President Duterte's remarks about VP Leni are sexist in nature or just a compliment? Answer the poll below.